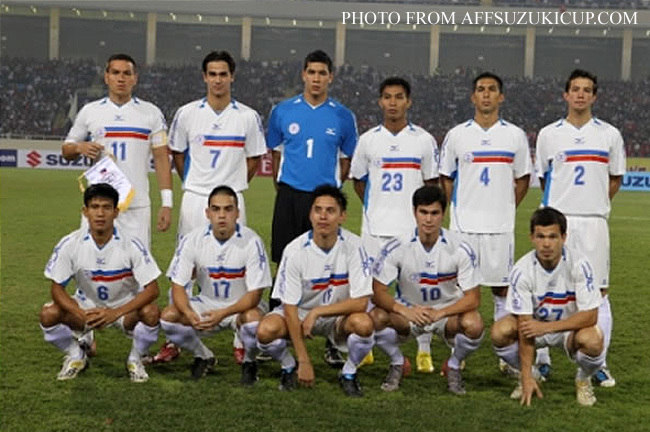 Home / Football / Philippines / Philippines 2 Mongolia 0… Go Pinoy!!! Philippines 2 Mongolia 0… Go Pinoy!!! Perhaps, and probably as a statement to the Fil-Foreigners who now make up the core of the Philippine National Football team, it was only appropriate that the first goal to be scored by the Philippines in its AFC Challenge Cup elimination round tie against Mongolia was the old-fashioned way by an all-Pinoy player from the Armed Forces, a tiny wing-half by the name of Emilio “Chiefy” Caligdong. A cross came in from the right flank in the 42nd minute which eluded the Philippines forward line as well as Mongolia’s defense. Caligdong was lurking on the left side of goal to pick up the crumbs; and although I half-suspected that nerves would get the better of him, instead he feigned a shot like a seasoned professional and, as the Mongolian defender rushed to block him off, he lifted the ball above the defender and smashed a lovely shot down between the legs of the Mongolian goalkeeper and into the net. It was the sort of goal that Pelé himself would have been proud of. Of course, Panaad exploded into a rapture of pure Pinoy pride. Caligdong, one of the smallest players on the field, had put the Philippines on top in this winner-take-all tie. Not that the Philippines was playing fluently. Hans Michael Weiss, the German coach of the Philippine team, had promised that the Philippines would attack from the kickoff. The team did exactly that. In the first minute, Ian Araneta took a nudge at the back while trying to get to the end of a cross from the left flank that – on any other day – would have been awarded a penalty. But the Taiwanese referee was, perhaps, wary of ruining a contest by having a goal scored in the very first minute. As things happened, the Mongolians – a feisty lot – were allowed to get away with not just a few over the top challenges of the sort that a European referee would never allow. He did send one of the Mongolian midfielders off after he encroached on the 10-yard area before the Philippines could take its free-kick. The same player had earlier received a yellow for a crude tackle on a Philippines player. To be perfectly fair, the yellow for the encroachment seemed petty on the part of the referee. The Philippines, to be perfectly fair, was having its lion’s share of ball possession. A lot of good it was doing, though, because most of the team’s shots were hurried and off-target. Phil Younghusband, obviously scouted well, was being shadowed as closely as warden would a prisoner rated most likely to try a breakout. Mostly, the Philippine foibles stemmed from midfield, where Fil-Icelandic Ray Anthony Jónsson and Fil-Dutchman Jason de Jong, partnered in central midfield due to the absence of Chris Greatwich, looked too similar to be attractive and effective. In fairness, Jónsson was excellent as leftback in the Suzuki Cup and, whatever is said about him having played as midfielder earlier in his career, he does not look the part in midfield. What the whole team missed were the great runs forward of Greatwich from deep in midfield, something neither of the two central midfielders were doing. Thus, the whole team was playing into the hands of a packed Mongolian defense. Not that the Mongolians were content to sit back for the duration of the match. In the 21st minute, they broke out with a lightning counterattack; but could not support the lone striker, whose shot was weak and absolutely no trouble for Philippine goalkeeper Neil Etheridge. They had better enterprise in the 41st minute, when another right wing raid resulted in a low cross being delivered into the box. The ball skidded past the Philippine defense and the opposing Mongolian winger would have scored if not for the intervention of rightback Anton del Rosario. The pattern, however, continued onto the second half. It was all one-way traffic as the Philippines started to really pile on the pressure. Caligdong, who was having a fabulous game on the left flank, continued on where he left off. In the 54th minute, Phil Younghusband got at the end of a Caligdong cross; but his shot sailed over. In the 60th minute, Caligdong again sent in a tempting cross; but Ian Araneta’s header was soft and did not trouble the Mongolian goalkeeper. Ian Araneta came close to putting the Philippines two goals up with a header off yet another Caligdong cross; but the ball hit the cross bar, bounced on the ground and was hacked away to safety. 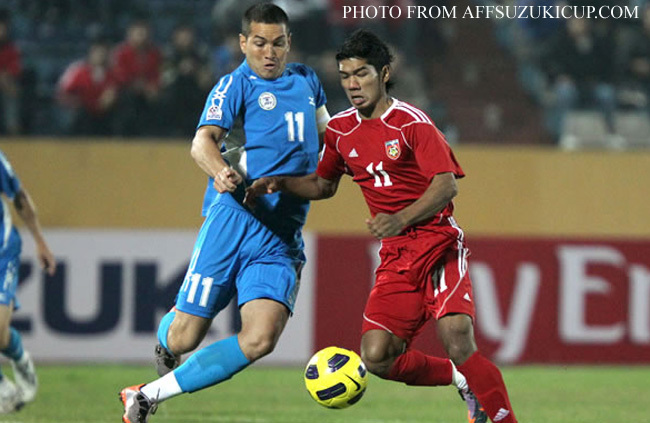 Mongolia heaved a sigh of relief. Araneta was again almost a hero when a long punt from Etheridge sailed all the way to the other penalty box with both Araneta and Younghusband going for the ball. One of them managed to nudge it forward but the Mongolian goalkeeper managed to push it away for a corner kick. Simon Greatwich, brother of Fil-Brit Chris, almost added a second Philippine goal in the 81st minute when he tried an overhead kick at the far side of the goal from a right wing cross; but the Mongolian goalkeeper was up to the challenge and managed to palm the ball away. 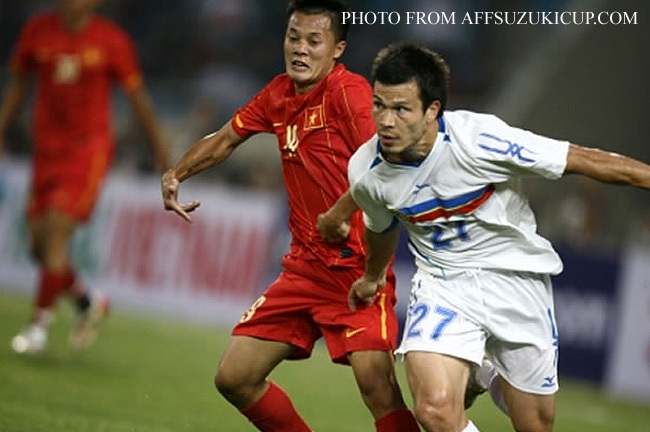 Despite the unaccustomed heat and humidity, the Mongolian defense was holding on resiliently. At times, the team was defending with as many as nine defenders. Neil Etheridge at the Philippine goal was doing absolutely nothing that he amused himself by playing way off his line. There was, however, to be real drama in added time. A corner was lofted above everyone into the middle of the box. A Filipino player latched on to the ball after it sailed above everybody’s head. 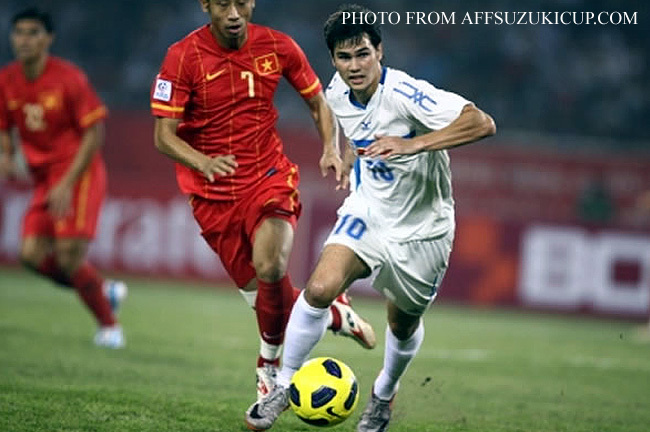 He managed to weave past two Mongolian defenders and squared the ball to Phil Younghusband. The latter, who had been shackled for practically all of the match, had his first shot blocked. The ball rebounded back kindly to him and his second shot found the back of the net. Wonderful night for Philippine football! The commentators were wary that the one goal advantage – before Younghusband’s dramatic second goal – might not be enough to win the tie, particularly with the second leg to be played in Ulan Bator in Mongolia. Personally, I thought the Mongolians only managed to keep the score down by being almost totally devoid of ambition and parking the bus in front of goal as we did against the Vietnamese in the Suzuki Cup. They did not look like they had the firepower to challenge our defense, where Aly Borromeo was a veritable tower of power. I firmly believe that this is game, set and match for the Philippines. Barring an extraordinary turn of fate, I think we will progress to the AFC Challenge Cup main tournament. Bravo lads! That said, I think we need pace. This was evident even in the Suzuki Cup; and against a defense consisting of – sometimes – nine men, speed down the flank is something we can definitely use. We also need a midfielder who can unlock tight defenses; somebody with ball control and vision to see passes in tight spaces. Perhaps, the most important gain for the day was not on the field at all. European fans watching the game would have immediately noticed that instead of the familiar roar of the crowd, there were shrieks. There were quite a number of females watching. The men will probably continue to stick to basketball, but the sport is winning the women over. Guess who bear the children?